The gorgeous Sangeeta Ahir, producer and chief of Sangeeta Ahir Moviez spotted at the Rohit Bal Fashion Show last night. Accompanying her was the stunning Sheetal Mafatlal. 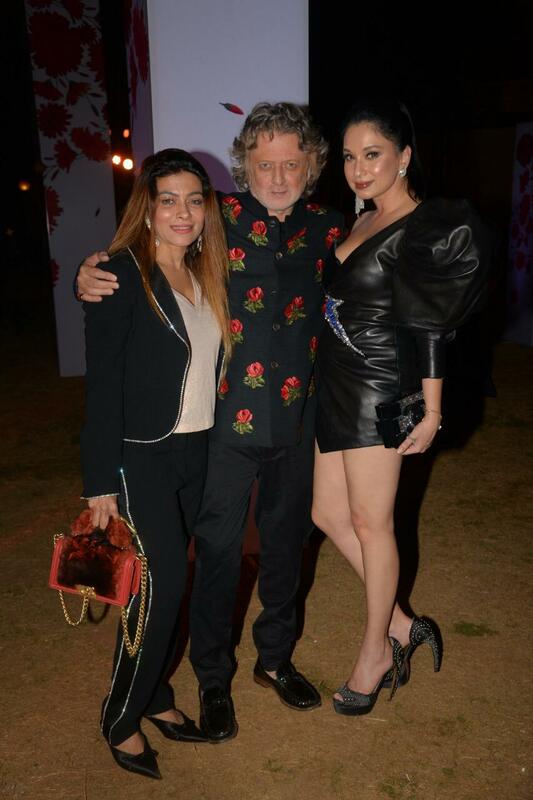 Seen with Rohit Bal post the fashion show.